With everyone I know posting about their kids first days back at school, I am freaking out a little bit. 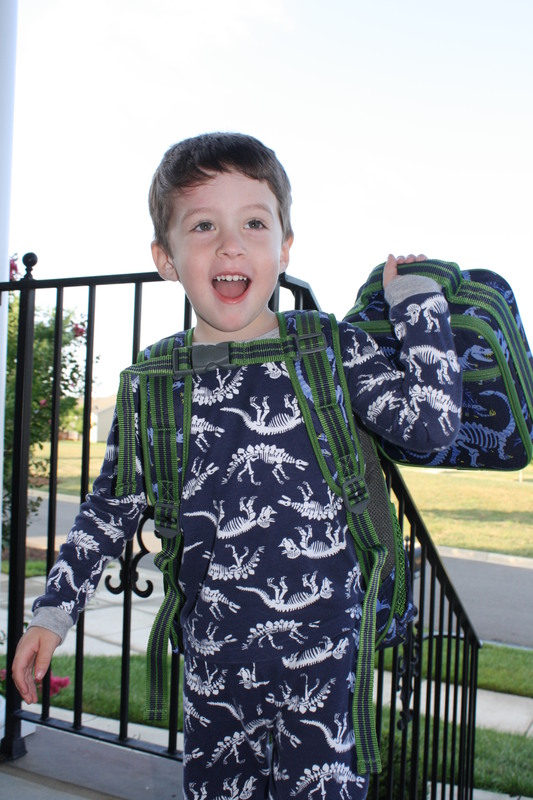 Two weeks from today, my oldest son is going to 3yr old PRESCHOOL…ahhhh! Ok ok, its not the end of the world since he is only going 2days a week from 9am-1pm, but it feels like it. This will be a huge transition for me HIM…haha. 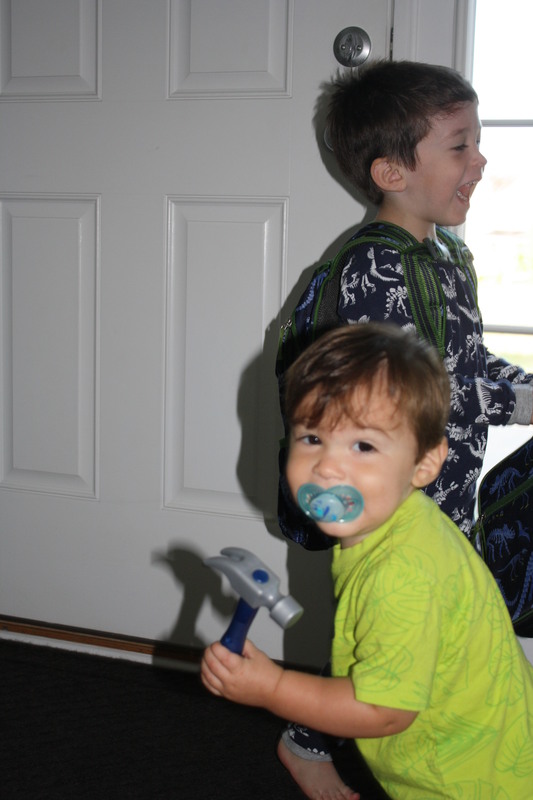 Anyways…he is so excited about going to school with all of his cool dinosaur backpack and lunchbox, dino gear, light up Stride Rite Captain America Light-Up Sneaker (Toddler) (they are actually really cool haha) most of all, to play with “all of my friends”. As much as it pains me to say this, I don’t think he will have a hard time at all. This is the kid that walks up to anyone at the store, tells them about his day and then stamps their hand with a dino stamp as a farewell! So unless he changes in the next few weeks, he will be perfectly fine. I hear you on all of this! My oldest is starting jk and our middle daughter is going to preschool 2 days a week as well!! Where does the time go? I’m so nervous and so sad about both of their first days! It’s absolutely terrifying to be a mom somedays!! Good luck!!! Oh no…two going to school?!?! I am sure it will be hard but look at the positive…it will give you way more free time and more time to spend alone with the youngest. That’s how I have to look at it otherwise I will have a meltdown…haha! It truly does fly by doesn’t it? Everyone tells you how quickly it flies by but it is one thing to hear it and another to actually experience it! It makes me want to keep having children because they grow WAY too fast!